These terms and conditions apply to the use of the IJEDR website located at External link http://www.IJEDR.org. 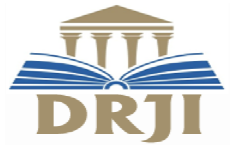 The website IJEDR.org operated by International Journal of engineering development and research with the domain name www.IJEDR.org.and registered with ISSN: 2321-9939. “Authorized User” can use this website like(a) For public libraries: library staff, individual residents of Customer’s reasonably defined geographic area served, and walk-in patrons while they are on-site; (b) For schools and other academic institutions: currently enrolled students, faculty, staff, and visiting scholars, as well as walk-in patrons while they are on-site; and (c) For other types of organizations: employees and independent contractors, while performing their work. Authorized Users excludes Customer’s corporate affiliates, academic bookstores, and alumni unless those users are expressly included and reflected on the Order Form or Additional Sites Schedule. 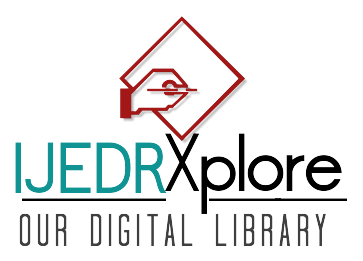 IJEDR.org Website will/will not announce any substantial modifications of information, databases, materials, capabilities, or services within the Service by email to authors. These changes shall be subject to the terms and conditions of this Agreement, and shall not materially alter use of the Service. Publication Charges include publication of one entire Research Paper Online, Hard Copy of Certificate, Posting/Dispatch Charges, Indexing, maintenance of link resolvers and journal infrastructures. REFUND POLICY: By default, ALL THE PAYMENTS ARE NON-REFUNDABLE. "No-shows" or “Extra-Page Payment” or “Excess Payment” or “Additional Payment” are not refundable and liable; and will be considered as the donations. But under the genuine consideration of refund request not later than 2 days prior to the payment date shall be processed with the applicable cancellation fee. All refund e-mail requests must be submitted to editor@ijedr.org. Request for refunds postmarked after the 2 day of payment date will not be accepted.